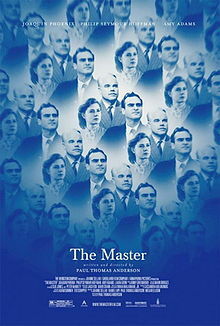 With the recent release of the movie THE MASTER, Scientology has become a subject of broad interest. There is plenty that can be read about this subject in books and on Internet. I have done a close study of this subject over a period that started in 1969 (see My Introduction to America). I even spent a few years aboard Hubbard’s yacht Apollo in the seventies (see Memories at Sea (1972-75)). Here is my summary assessment of Scientology. Scientology consists of much ground breaking work by Hubbard. Scientology introduces a whole new plateau to addressing the problems of the mind. The work on this breakthrough is, however, far from complete. The success from the application of Scientology is far from consistent. Any lack of success gets blamed on the practitioner of Scientology. Unmanageable difficulties seem to exist in the application of Scientology. A closer look at Scientology shows a lack of application of the principle of poka-yoke. Mindfulness is the key to successes in Scientology auditing. Scientology does not seem to put emphasis on Mindfulness. Scientology takes up aspects of mindfulness on TR0, Obnosis, and Data Series, but it fails to treat mindfulness systematically, and fails to highlight its importance in auditing. The principles of Mindfulness were first elucidated by Buddha 2600 years ago. Mindfulness seems to provide poka-yoke to Scientology processes. The principles of Mindfulness are presented under KHTK Mindfulness. Hubbard claims Scientology to be an extension of Buddhism. However, he derides NIRVANA, the goal of Buddhism. Hubbard sounds very persuasive. Apparently, this is the basic argument Western thinking has against Eastern thinking. This is where philosophy in Scientology diverges from its Eastern roots. Vin, this is a really good and important point to explore and to try and understand. I have now personally explored and adhered to both ideas toward let’s call it “individualism vs. oneness” — is that descriptive enough? These two ideas become hard to sort out when presented in the either/or form. Similar to the “free will vs. determinism” debate, these get presented as though there is only these two choices to pick from in order to understand the world. I am finding that it is not that crisp a choice. I think that the issue raised by Hubbard is “losing one’s individuality.” Does nirvana means “losing one’s individuality” or is it ascending beyond individuality to a higher level of pan-determinism? Pan-determinism = A consideration which covers all possibilities of every viewpoint which ever has and which ever will be assumed in all dimensions. Every determination. Self-determinism = The consideration of all possibilities of a single-point of view. Reduced determinism. Other-determinism = The consideration that there are a shortage or no points of view and that all the points of view are already assumed by other entities. No determinism. I have simply jotted these down impromptu and they probably need work. The above scale is pretty good. I would rather put “non-judgmental looking” at the top. There is no enduring viewpoint at this level. I think “ascends” is an apt word. I conjecture that as one becomes pan-determined, one would leave this usual frame of reference and arrive at new and different frame of reference – maybe one based upon more dimensions than the usual space-time. I believe in that range, one would find the usual space-time very understandable and without further mystery something like Newtonian physics is understandable, its laws defined. Then at that point, we would simply continue on evolving into more dimensions of understanding. This would be gradual with no defining limit, just steady progress. Would “non-judgmental looking” or “completely flexible viewpoint” meet your requirement? Losing individuality or rising to pan-determinism? Again with the either or thinking, this might possibly be a problem. From the pan-determined point of view, it seems possible to me that one stops worrying about the ego and individuality. Do you? That is correct. There is no fixation on individuality. Hubbard was very much fixated on individuality. That is the case with OTs in Scientology. That is why I wrote Discussions and what needs to be avoided. For me, “unknowable” has become something which I feel silent about – it is a concept that I try to be mindful of without really applying to anything which is sort of a waste of time. For me, its major value is as a reminder that the universe is something and our minds conjecture that there might be a nothing. To me “unknowable” is simply another way of saying that there is no absolutes in terms of knowing. There will always be something unknown beyond what one knows no matter how much one knows. That is the concept of ‘neti neti’ describing Brahma. In a fractal sense, it is possible for me to conjecture that there are worlds within worlds. In your Hubbard example above, and also in say Mormon scripture, one rises in individualism until they become a god and then lord over future worlds. In the sense of “oneness,” I conjecture that my individuality can be the creation of a greater and multi-dimensional consciousness. This is similar to a mono-theism. I can also understand the world as a synthesis of both these conjectures and also of conjectures not yet born. I am not locked down to any of these ideas, I am just trying to understand any of it. Sometimes I almost yearn for simpler days when I was a true believer and focused on only a single discipline. My inconsistencies were more level at that point; However, though I sometimes feel buffeted by these various world view arguments, I feel I am making better overall progress by challenging each of my beliefs. In my view, you are advancing in your looking by leaps and bounds..
To me, individualism spells as SELFism or, as ‘living and breathing on first dynamic’ if scientologese is preferred. Buddhism talks about dissolving SELF. That does not mean becoming one with MEST as Hubbard states. I think Hubbard was really afraid of losing his individuality. He had no idea that individuality could be transcended. When individuality is transcended there is perfect calm, non-judgmental observation, complete tolerance and total detachment (in scientologese, total absence of identification) . I agree about Hubbard’s fear of losing his individuality and so invented processes which steered a person toward greater ego, greater self. As you say, becoming one with MEST as Hubbard states is not the result of looking. Nothing in my experience validates this viewpoint of Hubbard. On the other hand, to conjecture that dissolution of self results the primal essence of life dissolving back into the unmanifested state — the Native State, might get some traction. My understanding is described in the essay MEMORY & RECALL. “Blowing the bank” may as-is energy perceptions into experience, or as-is experience further down into information. We are now confronted with inconsistencies at these subsequent levels, and these inconsistencies need to be blown to get down to the next level until one reaches the level of self. Here we find the ultimate inconsistency or fixation. As long as there are inconsistencies, the bank has not blown completely. As-isness does not necessarily mean complete disappearance. As-isness of matter seems to result in energy. As-isness of energy seems to result in space. As-isness of space seems to result in unknowable. As-isness of energy pictures seems to result in experience. As-isness of experience seems to result in information. As-isness of information seems to result in hypothesis. As-isness of hypothesis seems to result in theory. As-isness of theory seems to result in principles. As-isness of principles seems to result in axioms. As-isness of axioms seems to result in self. As-isness of self seems to result in unknowable. Is it really this way? I don’t know. It is just another shoe to try on for size. Interesting. I have to try that shoe on in the morning when I am rested. I believe that unknowable is dynamic. A century ago, many things that we take for granted today were not just unknown, but unknowable. If we don’t allow this flexibility in our thinking, then the word unknowable becomes a vague, vacant, and hypocritical tautology. We chip away at it. It is not something we can clearly see. No way to test. Maybe we haven’t even had the thought to wonder about it yet. Even so, men and women curiously look at and stare and wonder at the universe and through persistence break into and pierce mysteries wondered about and not yet wondered about. Unknowable must yield to the same rules for absolutes. As unknown become known, the boundary moves farther into unknowable. But the unknowable is always there. 5. The ocean and potential of these waves of disturbances remains regardless of the comings and goings of the disturbances. (1) The only way we may include the unobserved greater portion of the universe is by imagining it. (2) To me, the super set of Universe seems to be the Universe of Considerations as described in the first few paragraphs of: THE NULL VIEWPOINT. (3) A viewpoint can be any point in space that has been selected to view from. (4) The viewpoint senses disturbances in space (light wave, sound wave, etc.) for perception purposes. (5) Of course, the space remains, and time is involved with wave travel. (6) Since the viewpoint is part of space, it would itself be affected by the perception through light waves that affect the fabric of space. We like to give God many attributes especially the concepts of being everywhere, etc.,. This reminds us of unknowable for in the single-pointed “serial” world that a human lives, being everywhere is not really a possibility. These three “-determinisms” that are described in Scientology are for me a way of describing the ability to assume points of view. To dial in this language, It seems to me that the points of the amplitude of the waves might be thought of as “points of view” and also as “entities.” In a severely large disturbance such as a Stalin or Hitler or FDR or LRH, we have a full measure of “self-determinism” fully expressed. When we talk about God, we mean the ability and willingness to assume more or every point of view and so refer to this as “pan-determinism.” What do you think of this? If we look at the Universe of Consideration, each point in it may serve as a viewpoint. There may be complex, simple, dense and light points which make up this universe. Each viewpoint is unique in processing the sense data that it receives. You gave examples of Stalin, Hitler, FDR and LRH as different viewpoints. These viewpoints would be points in space, whose characteristics shall be determined by considerations held at those point. Each point will process sense data according to its characteristics. In non-judgmental looking, there would be no identification with any of these viewpoints. Here the response to the incoming perceptions shall not be colored by the “characteristics” of any viewpoint. Instead, any response shall be determined completely by the relativity of those perceptions to each other. This may be looked upon as null viewpoint, or God viewpoint. In pan-determinism, there would be identification with all the viewpoints present. In self-determinism, there would be identification with one of the viewpoints present. In other-determinism, there would be identification with the perception particles instead of identification with any of the viewpoints. One would let oneself be determined by a viewpoint out there. We seem to think of God as the glue which “binds order” to the universe. The Unknowable God. Yet a little while from now, when “dark matter” becomes less “dark” to us, that piece of God’s work will become relegated to extant physics. And so it goes? God viewpoint seems to be the “null viewpoint” and totally non-judgmental looking. All other viewpoints seems to be part of the Universe of Consideration. This universe is simply there. There is no effort to judge or speculate how this universe came about. Spiritual and physical are two different aspects of this Universe of Consideration. God cannot be defined with reference to any universe. God is not some entity. God is entirely independent of any consideration that we can make. Thus, God is unknowable. Any consideration about God is just a consideration that is part of the Universe of Consideration. We can certainly know more and more about the Universe of Consideration. Not everything will get relegated to physics. There will be stuff that will get relegated to metaphysics. Does the word determination refer to the wave collapse? 2. “self determined” = wave collapse within the mind of the single viewpoint. 3. “pan determined” = broader scale of wave collapse such as big bang. Again, I don’t want to pretend to draw lines. These are just general categories of participation. My thoughts are pretty much the same here, Seems like every time we evaluate and even discern or get to “know” something, what we are actually doing is collapsing fields of more or less unlimited possibilities down into greater levels of solidity. when we are looking for certainty we are increasing solidity, both for the world we are viewing, and for our own Ego. Seems like the way to go is as you say towards transcendence of Ego into pan-determinism and (maybe) infinite posibilities. Also, the first wave collapse from a field of infinite possibilities would entail the highest amount of power such as the Big Bang. Where do all the infinite possibilities come from in the first place? I don’t even know if it exists as such, that is why I used the word maybe. Do you know if it exists, and if so where dones it come from? I am still having difficulty in applying the theory of wave collapse to how we perceive. My approach is to simply look at what is there, and let it evolve. We use the words infinite possibilities but more accurately, we think we are looking at a field of potential… To think that anything is possible from that unknown field might be a stretch? One more thing that we can’t know? I mean, it’s for sure that our moms lie when they tell us we can be anything, right? Or wrong? I am willing for this to fall either way, but just like you and Rafael, there is kind of no way to understand this . . . The question I had was, “How can one know about these infinite possibilities individually without collapsing each one of them in the first place?” You have answered that inconsistency beautifully here. The idea of “infinite possibilities” is simply a speculation on unknowable. One simply sees what has collapsed or manifested. That’s it. That settles WAVE COLLAPSE THEORY for me. Are we creating what we are perceiving? Are we just Perceiving a real world out there? Can we know the answer to that question? ……. My last two posts abruptly !!!!! I’m traveling on a bus and everything us moving !!!! Buddha looks at self as part of the phenomenon to be observed. The Creative Consciousness; the Essence of ourselves is common to the entire Universe. It is our damnable compulsive individuality AKA inflated egos which are the root source of conflict and disharmony. That is correct. I do not agree with Hubbard’s theory of Thetans which essentially brings about a fixation on Individuality. I find it inconsistent in Scientology to profess the virtues of and to audit toward greater individuality, but to define individuation as a bad thing and the result of committing harmful acts toward the group. Scientology puts American individualism (or for matter, individualism anywhere) in a religious perspective. One needs to look at what really brings about gains in Scientology and what doesn’t. Hubbard basically gave birth to a method of ‘guided meditation’, which provided quick results. A person left to meditate or contemplate by himself may take a long time before he starts to get some results. However, when guided by a Scientology process the chances of getting a result improve. From a scientific perspective, Hubbard’s primary contribution was to come up with a shot-gun method that eked out a quick result from meditation or contemplation. His approach was to put a person through a battery of pre-defined processes to guide his contemplation. This greatly improved the chances that one of those processes may be appropriate for the person’s case, thus yielding a fantastic result quickly. But what really gets the result in contemplation is mindfulness. Whenever there are results in Scientology, the elements of mindfulness are present. Hubbard’s shot gun method seemed to provide occasions when a process matched the mindfulness of the person and provided the result. But Hubbard’s method did not specifically work with a person’s mindfulness. So results became spotty and seem to diminish after a while. Not knowing the right reason Hubbard got into more complexities up to a point that the subject of Scientology became more harmful than beneficial. Beyond that Hubbard had other fish to fry which further messed up the subject of Scientology. Is it possible to look at this universe as the universe itself? If that can be accomplished then one does not have to be trapped by this universe. One can look at the games without having to be pulled into them. Vin: Is it possible to look at this universe as the universe? If that can be accomplished then one does not have be trapped by this universe. One can look at the games without having to be puleed into them. Chris: We should be careful when using biased or at least ambiguous words like trapped. Seeing things as they are and not just as they seem to be might require one understanding which ant one is playing in the ant hill. There might not be any trap anywhere anytime at all. This might be left over assumptions from earlier indoctrination. Yes, “being trapped by the universe” is the wrong phrase to use. I should have just said “being trapped.” We cannot really blame the universe, or MEST, as Hubbard did heavily in Scn 8-8008. One can get trapped by one’s own desires, or attachment, as Vedas say. Anyway, the point I was making was that, if one could be the whole universe, one shall have an exterior viewpoint of all the games going inside the universe. Then he can view all those games quite interestedly but from a detached viewpoint. I am working on a concept regarding our ambition to be more than a human. In our culture, the Madison Ave. promo to “Be All That You Can Be” (possibly by joining the Army or somesuch) seems to be ingrained into our thinking, as you sometimes say, almost at the DNA level. Generally, mothers tell their children that they “can be anything they set their mind to” and I am really wondering whether that is true. Is the spark plug trapped in the combustion engine? Or could seeing it as it is reveal a better reason for its place in the universe? This is just for exploration without any assertion. I think that what traps a person is lack of mindfulness. For example, the moment a person starts to expect something, such as justice, he is trapped to some degree. There is nothing wrong with expectation itself, or letting the life flow. But when the things don’t go the way one expects, then it is mindfulness that lifts the person out of any downslide. The indicator of being trapped is Dukkha as Buddha laid it out in the first Noble Truth. KHTK: No identification is needed either with the body or with the soul. It is a continual process of discovery. Scientology Exteriorization = De-identification with the body. True Exteriorization = De-identification with both THETA and MEST, and looking at both objectively. A Clear simply is a person who is able to handle personal unwanted conditions by oneself. It is impossible to be free of unwanted conditions in this universe. The difference between a clear and a preclear is in the ability to handle unwanted conditions as they arise. A Clear would be a self-learner. (2) The means for this would not be an institution. It would be a grass-roots learning revolution. (3) Barriers to this is simply a lack of proper research and organization. One cannot blame other entities as Hubbard did, and Scientology still does. Simply expressed unwanted conditions spring from disharmonies embedded in the soul. Clearing of these disharmonies requires locating them and bringing them to view. Dianetics used indicators, such as, pc’s skin color, eye brightness, emotional tone and degree of introvertedness, etc., to follow up on responses from embedded experiences. Scientology used e-meter for this purpose. The underlying assumption was that the pc cannot follow such responses himself. This assumption of Hubbard is wrong. When a pc is trained on mindfulness, his sense of inconsistencies becomes sharp. He can sense the inconsistencies (disharmonies in perception) around an embedded experience, and follow them up to bring to view that embedded experience. No e-meter or “meter reading skill” by the auditor is needed. …..Hypothesis: Human being is essentially an immortal “theta being”. Awareness is inherent in all phenomena that is observed. It is not separate. To think it is separate is a wrong assumption. All is phenomena. Theta and MEST are aspects of it. A human being, or any idea of being, is simply a phenomenon. The idea of a creator is not needed. Self-realization is simply the understanding of this phenomenon. Recalled memory is a phenomenon that needs to be studied in more detail. …..What is that which feels it is outside the body? …..A fixation is a ridge. There is resistance in it. …..But no identity is permanent enough to continue from one life to the next. ……….But that seems to be inconsistent on many levels. …..Surrounding it, in a higher orbit or shell, is Thetan configuration. I have updated the OP – A LOOK AT SCIENTOLOGY mainly to replace the word “Looking” by the word “Mindfulness.” There are other slight changes, such as, the modification of step 16. (1)	Continual revisions and repackaging is built into the nature of Scientology. (2)	There is no such thing as Standard Technology. (3)	Standard Technology is just a subjective consideration. I would say that there is a standard framework a Grade Chart that Scientologists follow. This framework segregates processes by Grade Levels. It assigns sequence to those grades. Another standard aspect that was communicated to me at the Cambridge mission, where I started in 1969, was that I must keep my TR0 in during the auditing. This was a great help. For me, it was like being mindful (seeing things as they are). This mindfulness became the fundamental basis of KHTK, after I observed its critical and beneficial use in Idenics. Unfortunately, I do not see this aspect emphasized by LRH. I was lucky to have used it throughout my auditing with great benefit. I found little use for the e-meter in my auditing when I was using mindfulness. Auditor, who was going by the e-meter made enough errors in acting by the reads that I relied more on mindfulness. If there was a flash response to a question in my mind I followed it up, otherwise, I told the auditor that nothing came up. This led to a lot of grinding on Dianetics after some initial fantastic gains. I must have been completed on Dianetics. So, I wasn’t very impressed with the C/Sing and the use of e-meter. So, yes, even when there is a standard framework of Grade Chart, the nitty-gritty of auditing is very much in disarray with fundamentals of “looking” not in place. So all kind of revisions keep on getting introduced. (1)	Hubbard blamed others when his technology did not work. It was never the fault of his technology. (2)	He continually justified for his technology not meeting the expectations that he put there, and that the results were forthcoming with the next “breakthrough” he was working on. I think Hubbard was very excited by some advances he did make and gushed over them with over projections. That was his personality. He couldn’t help it. A person is a product of his genetic code which covers both his spiritual and physical aspects. These aspects may be modified somewhat by the environment one grows up in and the education one receives. But a person is essentially determined by his genetic makeup. Nobody can be totally self-determined. That was the case with Hubbard too. But he tried. This is one of the rare exchanges with Mark (Marty) Rathbun. Looks like I touched some raw nerve. He seems to be going through a rough time. Most of his communications to others have been similar put downs. I shall let him be and not write on his blog. In his article “Personal Integrity” Hubbard says, “What is true for you is what you have observed yourself. And when you lose that, you have lost everything.” What Hubbard does not say is that one usually observes through the filters of bias, prejudice and fixed ideas, and until those filters are removed the observation is distorted. A person is usually not aware of his filters, especially the deepest ones. So, a person’s observations are usually distorted but he is not aware of it. They are not objective in the first place. They are subjective according to his biases. But Hubbard is asking one to accept such subjective observations as true. That advice discourages one to question their observations. Naturally, a person then encounters inconsistencies that tend to create cognitive dissonance. He feels uncomfortable. He is then told to study LRH and think on the basis of what LRH would do to handle those inconsistencies. Then all the inconsistencies and cognitive dissonance shall dissolve. So a person is told to follow LRH, use his definitions of things, and think like LRH does to resolve his inconsistencies and cognitive dissonance. This way Hubbard installs himself as a filter in the person’s mind. The person would then be observing as himself, but he would be doing so through the filter of Hubbard. Hubbard can then conveniently say, “What is true for you is what you have observed yourself” because he is assured that you are observing through the “Hubbard filter”. But because it is “you” who is observing so everything is ok. This is an interesting twist that brings about conditioning in Scientology. To keep this conditioning in place, you are told not to see, hear, or speak anything that goes against Scientology. You are not supposed to go on the Internet and google Scientology. You are not supposed to discuss Scientology or your experiences in Scientology among yourself and compare notes for real. Such injunctions are, in themselves, inconsistencies. But, thinking like Hubbard, you would say “Such rules keep entheta and enturbulation away from my case.” How convenient! Scientology is creating a brave new world.